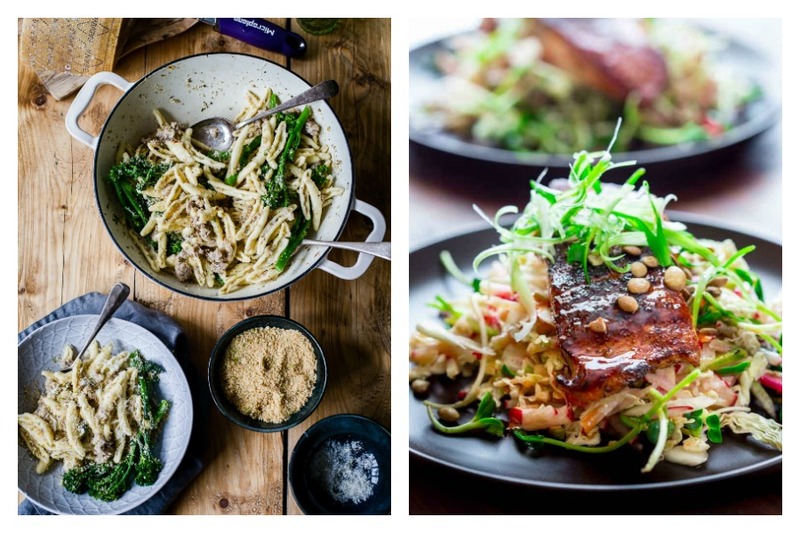 Next week’s meal plan: 5 easy recipes for the week ahead, from the ultimate comfort pasta to an Instant Pot keeper. It’s time to start thinking about your meal plan for next week. From the ultimate comfort pasta to an Instant Pot keeper, we’ve got five weeknight dinners that will get you through the week ahead. So grab a pen, make your shopping list, and stock up before the weekend’s over. And if it’s easier for you to do that from your inbox, be sure to sign up for our weekly meal plan emails. Related: 5 things I did to stock my kitchen before baby — that you should do, too, even if you aren’t expecting! 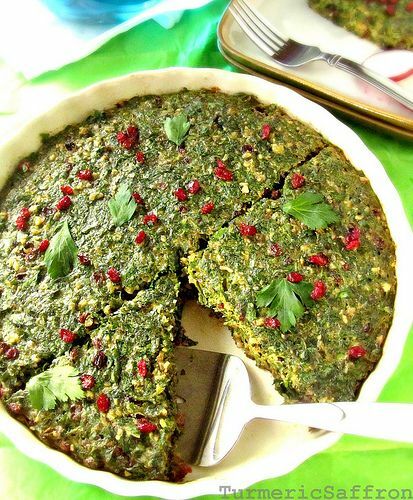 Earlier in the week we shared recipes to celebrate Persian New Year and this recipe has stuck with me. I know several people who’ve tried this dish and say that it’s super tasty and easy to make, so I’m going to give the Kookoo Sabzi at Turmeric and Saffron a go. A healthier version of the traditional herb and egg dish (similar to a frittata), it’s is a perfect #MeatlessMonday meal. 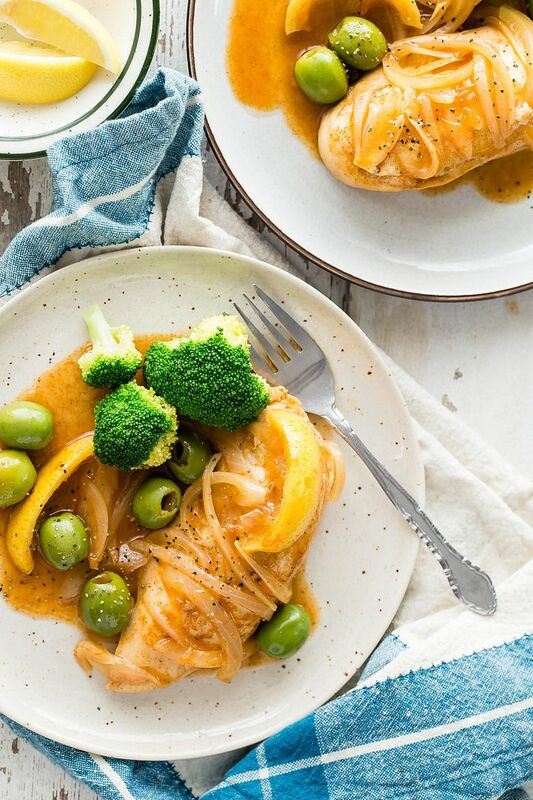 My family is crazy for olives, so I can’t wait to make this Spiced Chicken with Olives and Lemon at Weelicious. It’s so simple and clearly packed with flavor. And if your kids don’t like olives the way that mine do, you can just skip them or let the kids pick them out — which just means more for you! 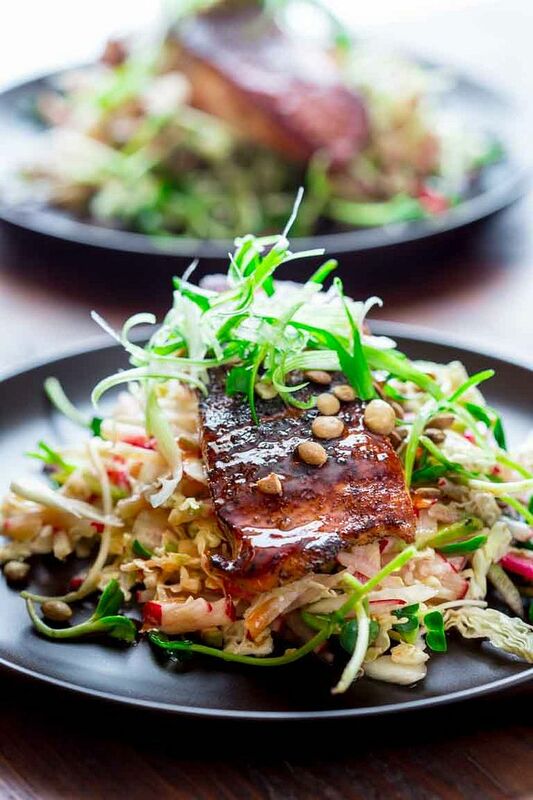 The Jerk Spiced Salmon with Hot and Sweet Slaw at Healthy Seasonal Recipes looks insanely delicious! If you’ve never cooked with jerk seasoning, you’re in for a treat with this one (but get a mild version if your family isn’t into spicy food). And if you’re looking for a shortcut, grab a bag of slaw or even broccoli slaw — it’s healthier and nobody will know the difference — to use in place of cabbage that you have to shred yourself. Related: 4 packaged greens that last longer than lettuce — and how to use them to feed kids. Okay, I know that I already professed my love for the Pressure Cooker Beef and Broccoli at Pressure Cooking Today in my post on the 10 best family-friendly Instant Pot recipes that we’ve tried so far this year, but have you tried it yet? It’s a really satisfying meal that tastes as good as take-out and comes together quickly in your IP. I mean, can you ask for more? Just one suggestion: If you have it, add a little grated fresh ginger for even better flavor. 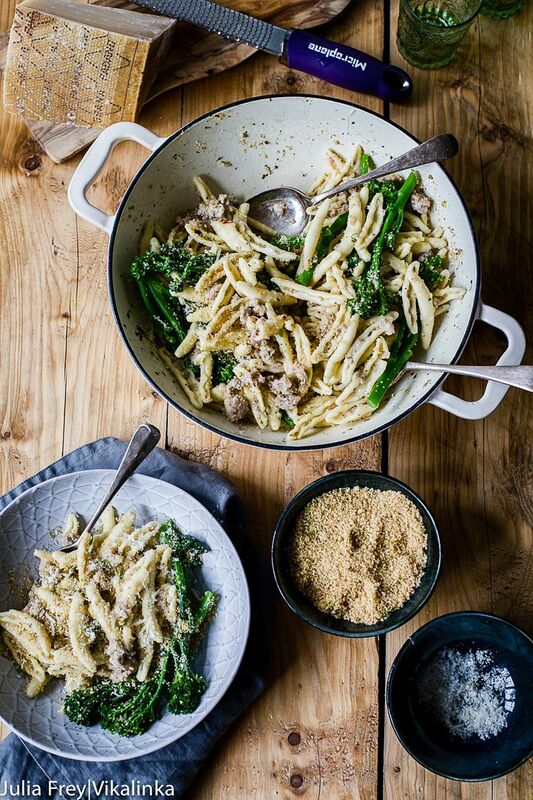 This Sausage and Broccoli Pasta with Herb and Garlic Breadcrumbs at Vinkalinka is comfort pasta at its best. I know that it’s an extra step, but toasting breadcrumbs with added flavor is one of my favorite ways to turn a good pasta dish (or soup) into a great one. It’s so worth the few extra minutes, especially in this case — mmmm herbs and garlic! Looks like a delicious week! 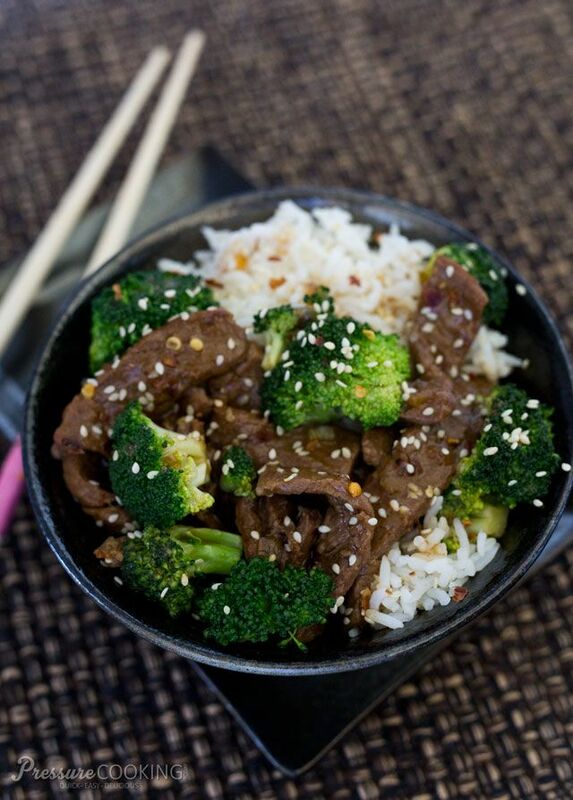 So fun to hear you love my beef and broccoli recipe. Thanks!